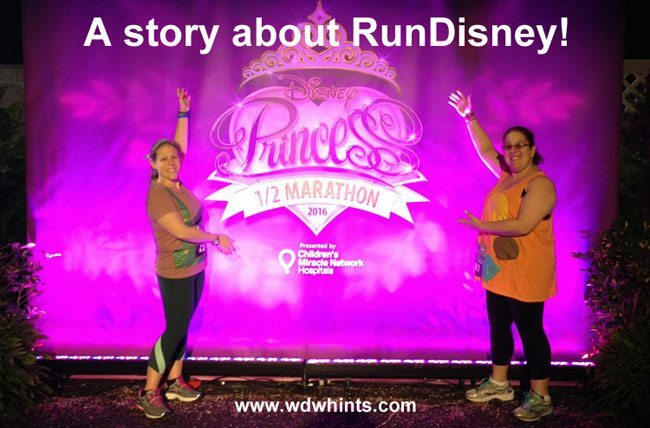 Let me tell you a story about RunDisney. I’ll try and keep it brief but honestly, I could write a novel about RunDisney. And I promise, there is a happily ever after. This is my 3rd year participating in the Disney princess race weekend. But to get the full perspective we need to rewind a little. About 3 ½ years ago, I injured my foot during my first Zumba class. This prompted me to start losing weight and become a much healthier person living a much healthier lifestyle. In the next six months, I lost 60 pounds. I had never run before, but had decided that it was the next thing I wanted to add to my fitness repertoire. Over the fourth of July weekend, right before signups, one of my best friends from college told me, not asked, that we were doing the race. It had been several years since I had been to Disney and it seemed like the perfect opportunity for me to start my running career. 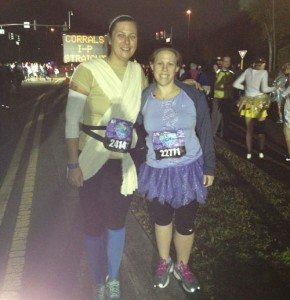 So, having never really run a day before in my life, I signed up for my first race, the Disney Princess Half marathon. Just a few short days later, my one and only sister was in what I can only describe as a horrific car accident leaving her and her kids with months of recovery. All of the sudden my life was turned upside down, fitness and my weight lose goals no longer my concentration. But back to this later. October 2013, training starts. I find out that apparently most people do a shorter length run first before signing up for a half marathon. Well, I guess go big or go home right? I followed Jeff Galloway’s training guide to a T, Making sure to never miss one of my runs. I was focused. I had a goal in mind. Finishing was winning. February 2014, Race time. I felt ready. I was nervous, having never done a race before. But I had my costumes set, my flights booked, my students were even doing a Disney themed countdown for me. Having never been in a race before, my friend, her soon-to-be sister-in-law, mother and I were all in the last corral. The very back of the last corral… but that was all forgotten as soon as we crossed that starting line. It was amazing. I needed to run that first race for me. As I ended up running on my own, I crossed the finish line and yes that weight lifted off my shoulders, a huge smile donned my face, and an immense sense of pride fell over me. Mind you the medal and fairy dust didn’t hurt either! I was hooked. July 2014: There was no question, I was sitting at my computer at noon when registration opened, ready for the next challenge: the Glass Slipper. This is the combo of the 10k as well as the half marathon. I was in. February 2015: Glass slipper = rocked it. Shortly after getting back, I was having lunch with my sister. And as she sat and complained that she was always my taxi but never actually go to go to Disney, I suggested she come. Realizing that she still wasn’t 100% from the car accident and had never ever run, not even to catch the subway as she would say, I knew it was a slim shot. But the magic of Disney even started making her think about doing the race. Within the next few weeks, she had convinced her husband to let her go, leaving the kids at home with him, and allowing her and I to have a girls week in Disney! My mind > blown. 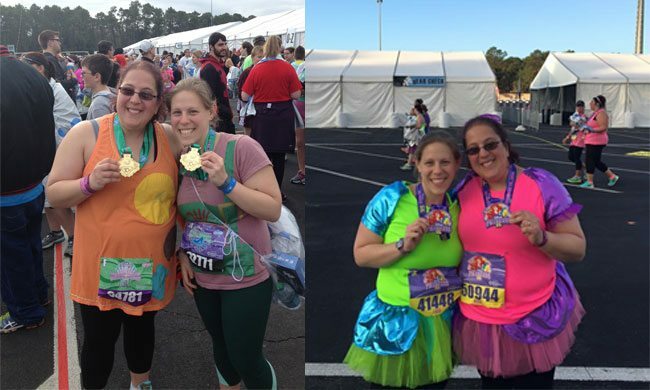 July 2015: So what does my non-running, still-healing sister do? Signs up for both the 5k and 10k. Love that girl!!! This year to push myself, I signed up for all three races in the weekend, what would be my highest mileage yet 22.4 miles total. Time to start planning! 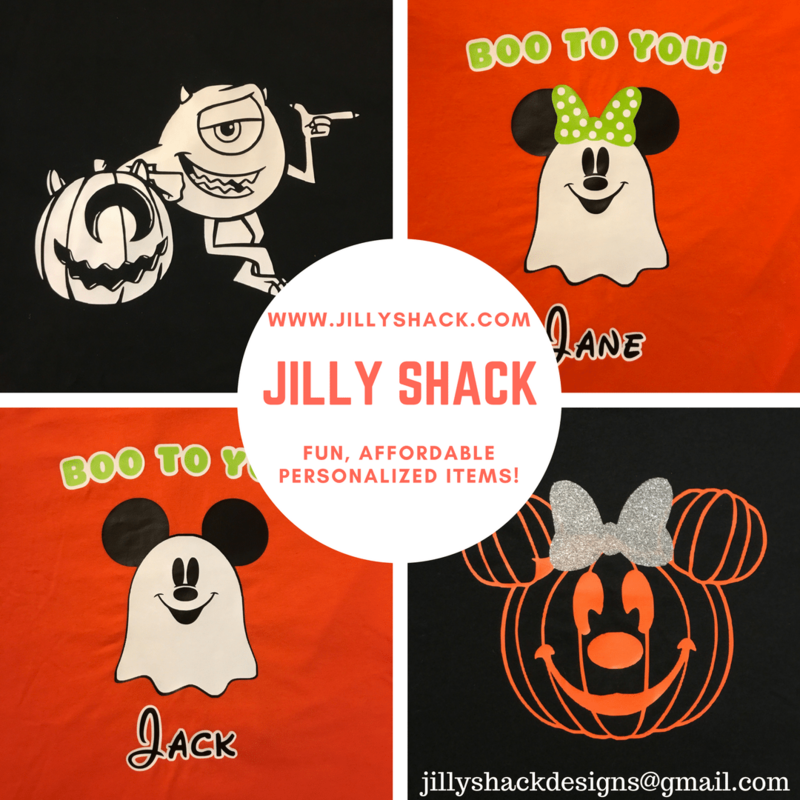 October 2015 and on… We had our hotel reservations booked (Art of Animation), our meals decided, costumes figured out, training was going as well as could hope. Operation Motivation: (as I called it) was in full swing. Coming into the last month of training, due to several life factors that couldn’t be helped, training got a little pushed to the side. Having been fighting a knee injury, death in the family, and delicious European cheese, I knew I would not be making any PR’s this year. However, I knew I could finish it, and I made the decision that this year was going to be a different focus than the previous two years. It wasn’t going to be all about proving what I could do and have accomplished, but a bigger picture, including stopping to take pictures. Fast forward to Wednesday, Feb 17 2016. We board a plane, headed for Orlando and let me tell you that plane can’t get there fast enough!!! We finally get to our hotel and pass out for the night, ready for the expo in the Am. 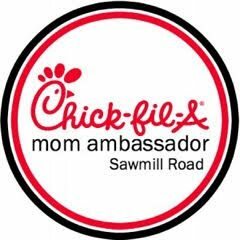 We get there, get our bibs, buy some swag, try from free samples, get a picture with the Chiquita banana lady and all those other important expo experiences. Here are a few small pieces of advice for the expo, check the size of your shirts to make sure they are right before you walk away, if you want any of the new balance sneakers, make an appointment beforehand, and beware there will be large crowds!!! Friday morning, 3 am. We wake up. Everything had been set out the night before. We were finally on the bus heading to Epcot! Even though my bib allowed me in corral A, I wanted to run the race with my sister. So we all headed to corral F and parked ourselves there until they finally let us out to walk towards the start line. All the anticipation, the hours of training, the motivation, and the excitement, released when the fireworks erupted and we were off! One of my personal favorite parts about the 5k is that it’s almost entirely in the park. We crossed the finish line with our hands raised in pride and continued on to get our medals, and snacks proceeding to the other side where of course the pictures continued! And then of course spent the rest of the day at the parks! Saturday Morning: 3am. Race Day Part 2. It was slightly harder to wake up, but the excitement was still there. Dressed as Pricklepants from Toy Story 3 we were ready for the longer race. The first half of the race is less entertaining, being mostly on roads outside the park and the second half is very similar to the 5k, with some course and character differences, yet it’s all still magical. All I can say to sum up this race was it was full of emotion. Sunday Morning: Way early. Last race of the trip, just me, getting up was really hard. Being interviewed in my corral and on the jumbo-tron made waiting a bit easier! The course, awesome. The characters, different from the last two years. The whole experience, amazing. Guest writer Thea Boyar lives in New Hampshire and works as an art teacher. She enjoys traveling, the arts, and RunDisney swag!!!! !